It's a time of change at Neopets... new staff, with great new ideas! We have some great news for all Neopets players!!! You must be tired of the way your Neopet looks by now - but don't worry... all the Neopets are getting a makeover. Here is a sneak preview of some of the new pictures!!! Hi! Im the new Kiko! The new Kiko is called 'Kreela' and will be arriving in Neopia soon! Hi! Im the new Chia! 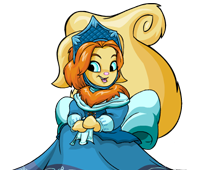 The new Chia is called 'Chyonko' and will be arriving in Neopia soon! Hi! Im the new Korbat! The new Korbat is called 'Kibbiler' and will be arriving in Neopia soon!